Safety and clinical efficacy of medicines critically depend on the availability of high quality formulations designed to achieve therapeutically-relevant pharmacokinetic drug profiles in patients. Both pharmacists and pharmaceutical scientists, either through compounding (formulating) of patient-specific dosage forms or design, research, and development of commercial drug products, are vital in facilitating access to safe and efficacious medicines across the globe every day. Drawing on physical, chemical, biological and engineering sciences, our primary goal is to unite compounding pharmacists and pharmaceutical scientists from diverse scientific disciplines in industry, regulatory agencies, and academia with the objective of enhancing their contributions to global health. 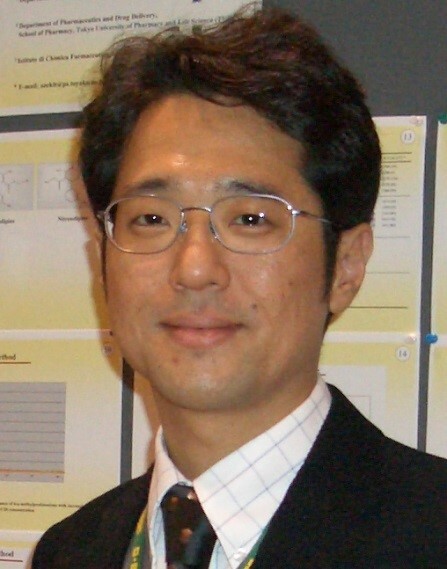 Prof. Tetsuya Ozeki (Japan) is acting as interim chair of our group. With support from our membership, we develop formulation-related programme activities at scientific meetings and workshops. In addition, we are committed to offering opportunities for networking, and professional development, including continuing education. The FDPT SIG leadership is excited about the new opportunities for creative partnerships between Board of Pharmaceutical Sciences and Board of Pharmaceutical Practice members under the umbrella of a common interest in formulation design and pharmaceutical technology. FDPT SIG representatives continue to recruit volunteers from different countries to participate in the development of future programming submissions. Dr. Tetsuya Ozeki (FDPT SIG Vice-Chair) attended the PSWC held in Stockholm (Sweden) from May 21-24, 2017. He contributed as a chair with a co-chair, Hayley Schultz / Australia, of Short communications B3, Track B: Delivery and Targeting Sciences. He and Dr. Linda Hakes, the vice-president of FIP were able to personally interacted with PSWC attendees during the FDPT SIG meeting. SIG representatives continue to recruit volunteers from different countries to participate in development of future programming submissions. Goal #1: FDPT SIG leadership team to engage more effectively with colleagues from various BPP Sections in joint programming activities to underline the invaluable relationship between clinical outcomes and scientifically designed drug delivery systems.Goal #2: FDPT SIG representatives continue to recruit volunteers from different countries to participate in development of future programming submissions. For more information please contact Prof. Ozeki at FormulationDesignPharmaceuticalTechnology@fip.org.